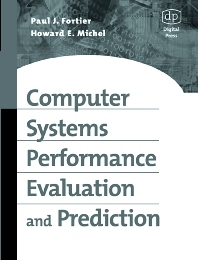 This book makes analytic, simulation and instrumentation based modeling and performance evaluation of computer systems components understandable to a wide audience of computer systems designers, developers, administrators, managers and users. The book assumes familiarity with computer systems architecture, computer systems software, computer networks and mathematics including calculus and linear algebra. Paul Fortier is Professor of Electrical and Computer Engineering at the University of Massachusetts at Dartmouth and the author of numerous books on computer engineering. Howard Michel is Assistant Professor of Electrical and Computer Engineering at the University of Massachusetts at Dartmouth.